Over the weekend I decided that I needed a taste of something summery in the midst of the latest snow event. I had been very intrigued by the lavender truffles posted by Alyssa of Runway Chef, but I didn’t have lavender and knew that getting it from somewhere within walking distance was not possible (the T was shut down, and I didn’t really feel like walking through a snowicane anyway). But, thinking about lavender made me feel that I wanted something different than a regular old chocolate snack, so my thoughts turned to rosemary. 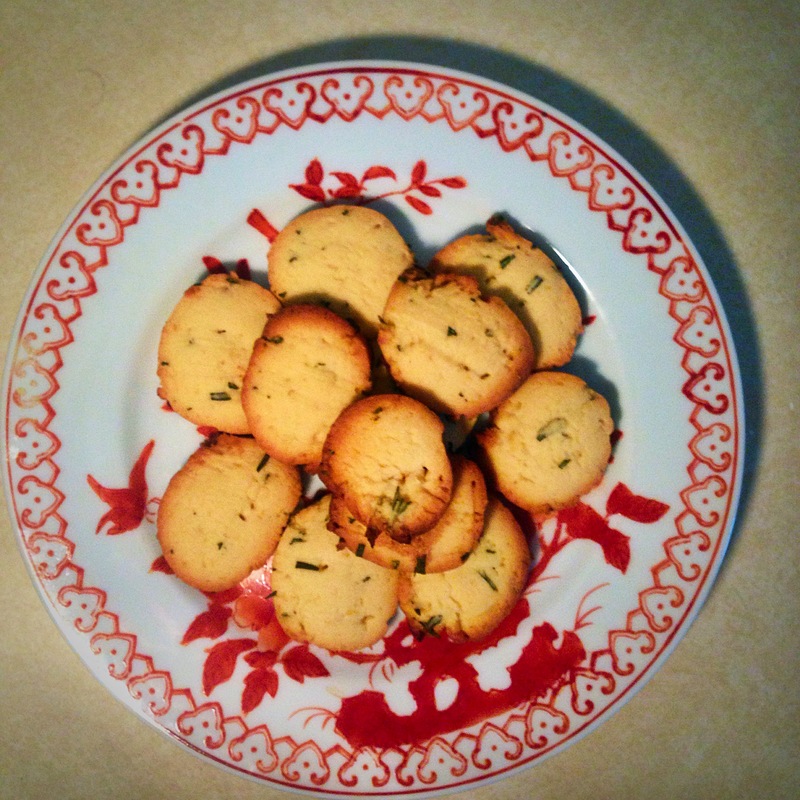 I found several great recipes from rosemary lemon cookies, but ran into a few problems. First, I was pretty low on flour and only had one kind. Most of the recipes made more cookies than I needed (I wanted to indulge, but there is no reason for M and I to be alone in the apartment with 3 dozen cookies), I don’t have a stand mixer, and I had never even heard of sanding sugar. So, I read recipes from My Baking Addiction, Two Peas & Their Pod, and Martha Stewart for inspiration and came up with something that worked for me. In a large bowl, mix your butter and sugar. Most recipes I found called for this to be done in a stand mixer, but I rolled up my sleeves and used my hands. I sort of kneaded the bread and sugar until they were well-mixed, about 3 minutes. Add in your lemon zest, egg, and vanilla. I know the half-egg is annoying, but with this smaller batch recipe, a full egg would be too much. I broke the yolk in my hands and let about half run into my bowl. Mix until it has the texture of a thick pudding. In a separate bowl, mix dry ingredients (flour, salt, rosemary). Slowly add to wet ingredients (in about 4 increment). Mix with hands until the dough is somewhat stiff. On a dry or lightly floured surface, roll the dough into a log. The length/thickness is up to you…how big do you want your cookies to be and how many do you want? I went with pretty small ones. Place your log on a sheet of plastic wrap, roll and wrap tightly. Lay flat in freezer for 45 minutes – 1 hour, until quite firm. Now, clean up your mess from before and preheat the oven to 375 degrees. Line a cookie sheet with parchment paper. 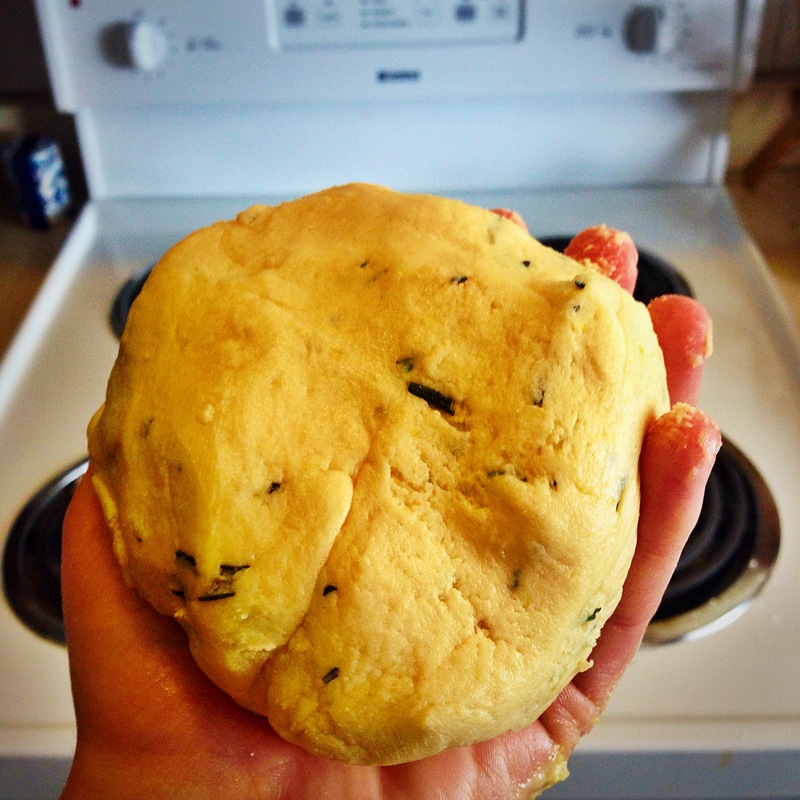 Remove dough from freezer and slice into rounds about 1/4 of an inch thick. 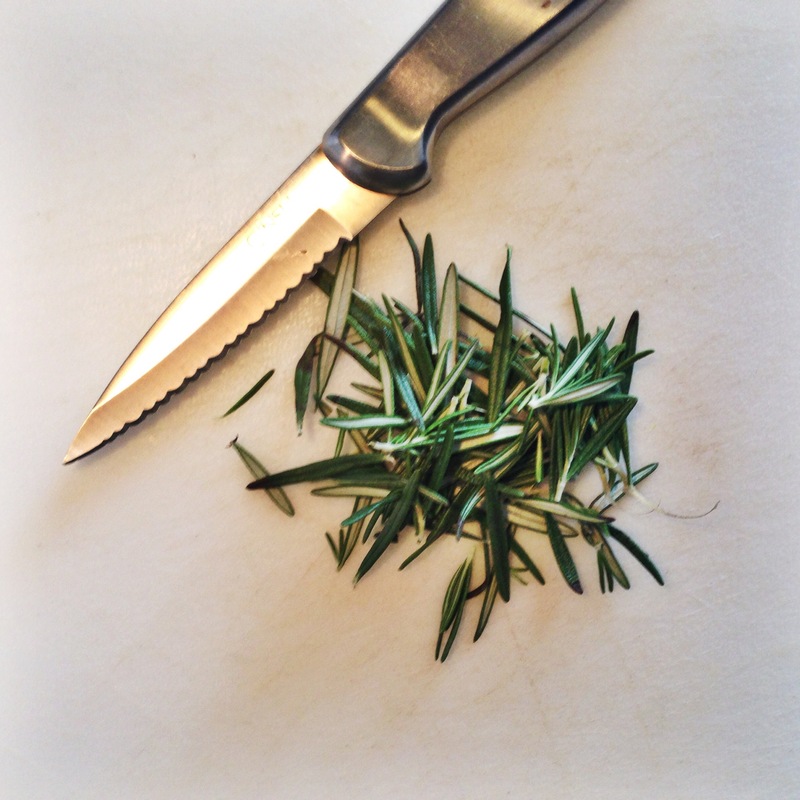 Place rounds on parchment Here, you can top with sanding sugar, regular sugar, sprigs of rosemary, or honey. I did a few with honey and they were a nice variation. Pop in the oven for 13 minutes. Let cool and enjoy! A few things to note: I was surprised by how quickly these cook. You might want to check them around 10 minutes to see how the bottoms are browning. The amount of lemon zest and rosemary you use is to taste. I used the zest from one lemon and about 3 sprigs of rosemary. I wish I used more! Don’t be shy with the lemon zest, especially.